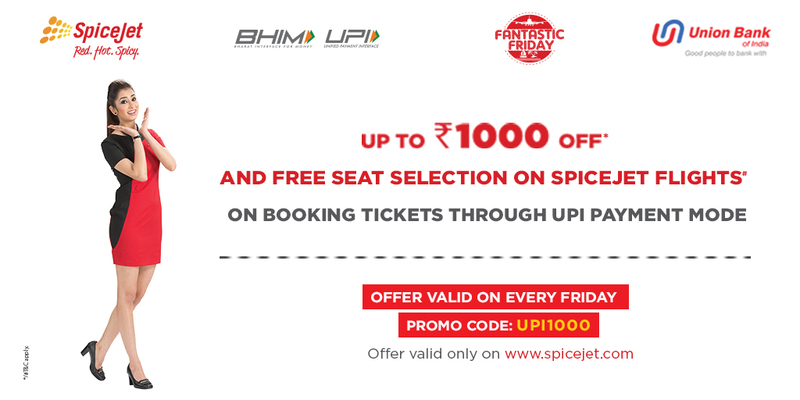 Offer valid only on Fridays for flight bookings made with UPI payment mode on www.spicejet.com. The offer is valid till September 28, 2018. The journey day can be any day of the week. o Waiver of charges for the preferred seat selection. To avail the offer, customer must make the payment only via the UPI Payment mode only through any Virtual Payment Address (VPA) set up on UPI. The offer is applicable to customers using any UPI application as a payment medium/mechanism at SpiceJet Limited (hereinafter referred to as the ‘Customers’). Users will be entitled to discounts of INR 500 (hereinafter referred to as 'Instant Savings') as per the details mentioned below, for all flights booked on Fridays during the period June 29, 2018 to September 28, 2018 (both dates inclusive) (Offer Period), when making payments through UPI and flights booked on www.spicejet.com only. Additionally, customers can also avail FREE preferred seat selection while making payments for their flight through UPI. The discount under the Offer will be calculated only on the Base Fare (price excluding taxes) for flight bookings. Such discount shall be for a maximum of Rs.500 per flight. 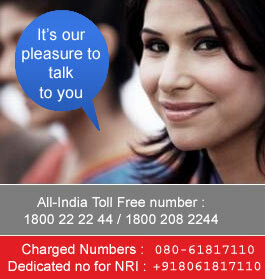 The offer is valid on flights having minimum base fare of Rs.2000 and above. The offer is not valid booking where Seat+Meal Combo or SpiceMax Fare is opted by customer. On the payment page UPI (Unified Payments Interface) should be selected as the payment mode. 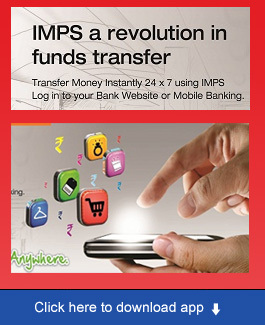 UPI users can avail the offer for multiple transactions per Friday. If the booking is done more than once on a single Friday, the user will get instant savings of INR 500 per flight multiple times. All bookings are subject to availability. This offer can be availed only if the full payment for the purchase is made through UPI digital payment. Transactions where payment (partial or full) is made using any other mode of payment (including e-wallets or bank cards) will not be eligible for the discount. For any queries or complaints related to the offer, customer can email at custrelations@spicejet.com or call on +91 9871803333 / +91 9654003333.